The 15th Street/Eisenhower Plaza entrance to the U.S. Holocaust Memorial Museum in Washington, D.C. The museum is currently the workplace of Mr. Andreas Flaig, a 2011-2012 Gedenkdiener. Reflecting this commitment, there are curently three programs that promote Holocaust education and remembrance in Austria. In 1992, the Association for Holocaust Memorial Service program was recognized by the Austrian government as an alternative to both mandatory military service and domestic civilian service. Participants of the program have the possibility to apply for one of the nineteen partner organizations in Europe, the U.S., Israel and South America including the Leo Baeck Institute in New York, The United States Holocaust Museum in Washington, D.C. and the Anita Müller Cohen Elternheim in Tel Aviv. The program’s main goal is to counter the art of forgetting, or even actively ignoring, the history of the Holocaust era. Thereby, the program wishes to contribute to remembering and honoring the victims and families of the victims of the Holocaust. In addition to sending young Austrians abroad, the program also organizes excursions to Holocaust memorials all over Europe and hosts conferences on different historical topics. As part of its mission, the Holocaust Memorial Service is also actively involved in Holocaust education at high school level in Austria, mainly by organizing workshops for student projects. In addition, the Austrian Holocaust Memorial Service also acts as an advocate for minorities and other groups victimized by discrimination. The program is funded by the Austrian Ministry of the Interior, which is responsible for all civilian service programs as alternatives to military service. Over the years, two more institutions have committed themselves to enhance awareness of the Holocaust by sending students to memorial sites around the world. In 1994, the association Never Forget was established providing students with the opportunity to serve at one of nineteen memorial sites in Germany and Poland. The association also takes an active part in youth work against forgetting and is involved in the organization of the Hermann Langbein Symposium – ideology and reality of National Socialism, an annual nationwide in-service teacher training seminar. Four years later, the politically independent Austrian Service Abroad program was founded. It holds the possibility for the volunteers to establish their own partner organization, which resulted in an extensive network of partner organizations on four continents and, all in all, 37 countries. In this issue, Andreas Flaig, Holocaust Memorial servant at the United States Holocaust Memorial Museum in Washington, D.C., shares his experiences and thoughts on the Austrian Holocaust Memorial Service. 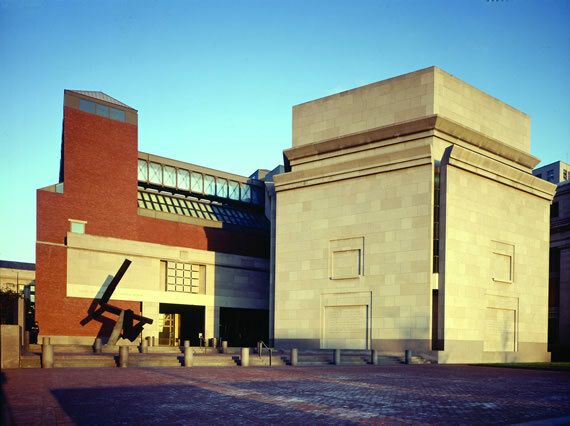 Andreas Flaig currently serves as an Austrian Holocaust Memorial Servant (Gedenkdiener) at the United States Holocaust Memorial Museum in Washington, D.C.